Free Shipping Included! Napkin Rings for Weddings, Parties, and Events 100pc Set Bulk Napkin Rings – Totally Dazzled by Totally Dazzled at Doctor Joe Says. MPN: 544-G-N. Hurry! Limited time offer. Offer valid only while supplies last. 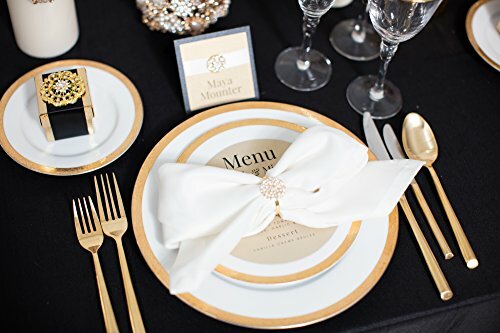 These beautiful gold rhinestone napkin rings are the perfect addition to any wedding, party or special event that needs an extra touch of glamour! 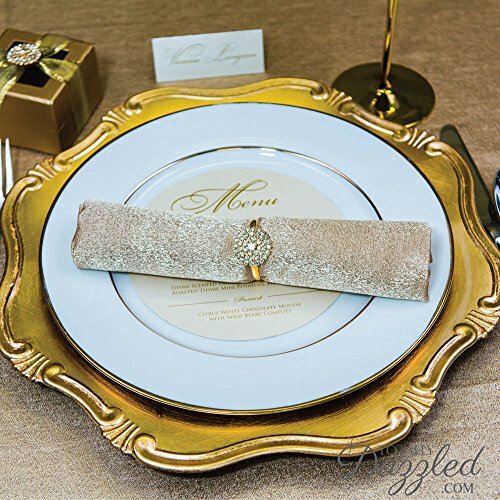 These beautiful gold rhinestone napkin rings are the perfect addition to any wedding, party or special event that needs an extra touch of glamour! They are made of Grade A+ clear glass rhinestone crystals and feature a sparkly 1 inch rhinestone embellishment. 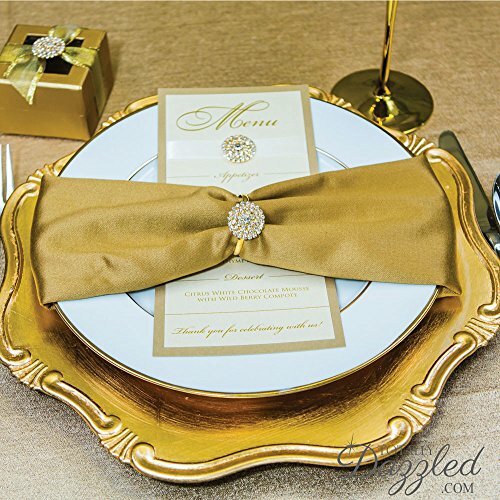 These elegant napkin rings are guaranteed to add a touch of class to your wedding, party, or special event. 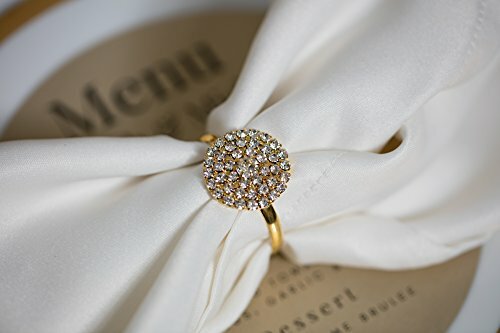 100% SATISFACTION GUARANTEED: You will love the endless sparkle and shine of our Grade A Clear Glass Rhinestone Napkin Rings. If not, you're welcome to return them with no questions asked. 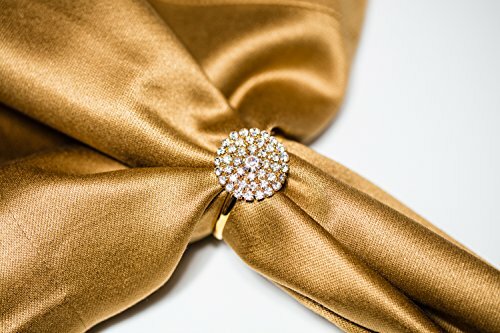 1 INCH SPARKLY GOLD NAPKIN RING: These beautiful rhinestone napkin rings measure 1 inch by 1 inch and feature a 1.5 inch diameter napkin ring backing. VARIETY OF USES: these rhinestone napkin rings are perfect for weddings, baby showers, holiday parties, corporate events, and more! BULK WHOLESALE PACK: this package includes 100 napkin rings! You can use these lovely napkin rings again and again. 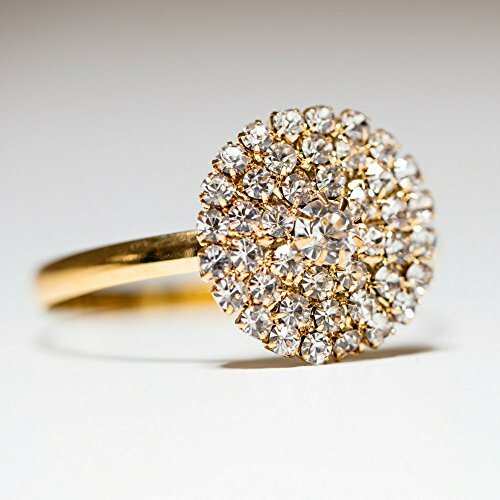 They are suited to a variety of wedding styles and occasions. 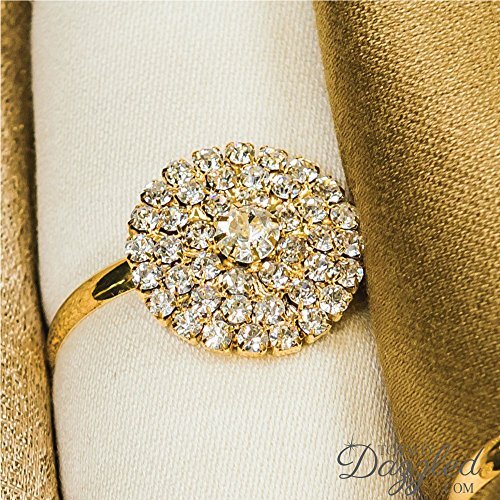 RELIABLE SOURCE: We are your reliable trusted source for top quality rhinestone napkin rings at wonderfully low bulk prices. If you have any questions about this product by Totally Dazzled, contact us by completing and submitting the form below. If you are looking for a specif part number, please include it with your message.